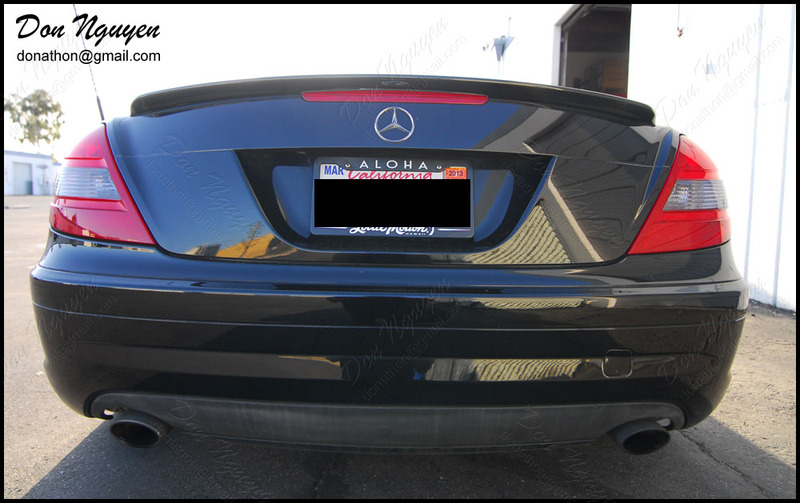 I tinted / smoked the clear portions of the tail lights on his SLK. 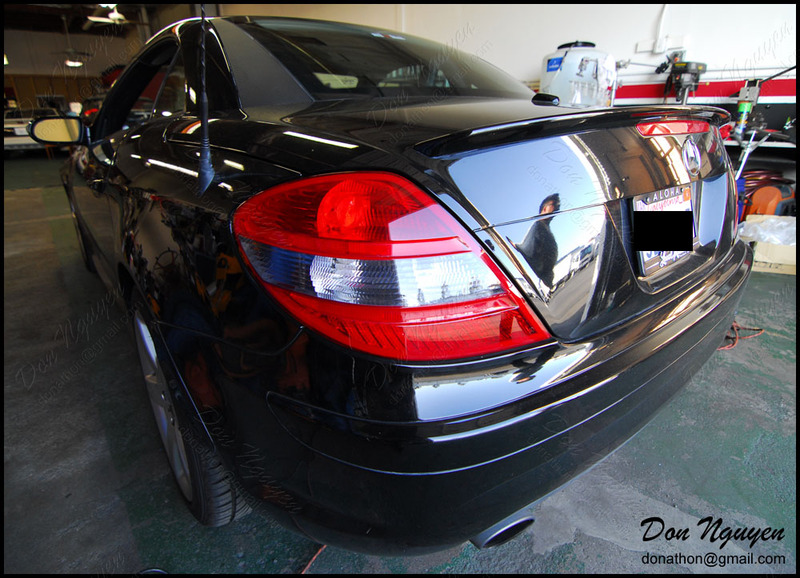 This is my current/new shade that I am using, which is lighter than before and really gives a fairly factory look similar to BMW's black line tail lights, for those who are familiar. The owner of this car was also in Orange County/Anaheim Hills.